The NEW edition of the Reformation Study Bible Notes are carefully crafted to offer an unparalleled reading, study, and discipleship experience for every age and stage of the Christian life. 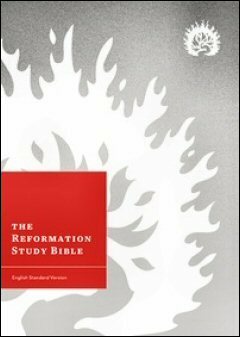 This NEW Edition of the Reformation Study Bible Notes (2015) have been thoroughly revised and carefully crafted under the editorial leadership of R.C. Sproul. Over 1.1 million words of new, expanded, or revised commentary from 75 distinguished theologians, pastors, and scholars from around the world contribute to make this an unparalleled discipleship resource. Includes new award-winning maps, topical articles, concordance, and historical creeds, confessions, and catechisms, and more.